Superb Condition, CARFAX 1-Owner, LOW MILES - 66,023! Hitch, TRAILERING EQUIPMENT, HEAVY-DUTY, LPO, BED LINER, CD Player, 4WD, Bed Liner, TIRES, LT245/75R17E ALL-SEASON, BLACK... SEATS, FRONT 40/20/40 SPLIT-BENCH, 3-... READ MORE! includes trailering hitch platform and 2.5- inch receiver with 2" adapter, 7-wire harness (harness includes wires for: park lamps, backup lamps, right turn, left turn, electric brake lead, battery and ground) with independent fused trailering circuits mated to a 7-way sealed connector, wiring harness for after-market trailer brake controller (located in the instrument panel harness) and (JL1) integrated trailer brake controller, with overdrive and tow/haul mode (STD), (STD), with outboard head restraints and center fold-down armrest with storage (STD), Derived from RPO (AE7) 40/20/40 Split Bench with center 20% section removed. Seats are manual, not power and include driver's side only lumbar. Does not include floor console. Exposed floor areas will remain untrimmed. Cloth rear seats with trim matching front seats will be provided on Extended and Crew Cab models. capable of running on unleaded or up to 85% ethanol (360 hp [268.4 kW] @ 5400 rpm, 380 lb-ft of torque [513.0 N-m] @ 4200 rpm) with (E63) fleetside pickup box; (322 hp [240.1 kW] @ 4400 rpm, 380 lb-ft of torque [513.0 N-m] @ 4200 rpm) with (ZW9) pickup box delete (STD) Privacy Glass, Electronic Stability Control, 4-Wheel ABS, Vinyl Seats, 4-Wheel Disc Brakes. Hello, I would like more information about the 2012 Chevrolet Silverado 2500HD, stock# T16309. 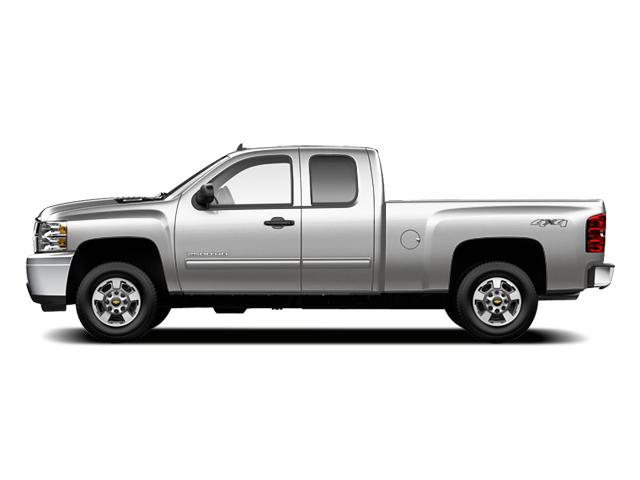 Hello, I would like to see more pictures of the 2012 Chevrolet Silverado 2500HD, stock# T16309.